Sarah Nader- snader@shawmedia.com McHenry pitcher Marcus Reiser (center) is lifted up by his teammates after pitching the final out at Monday's Class 4A Prairie Ridge Regional final against Prairie Ridge June 1, 2015. 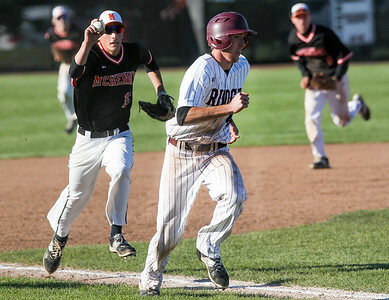 McHenry defeated Prairie Ridge, 5-3. Sarah Nader- snader@shawmedia.com McHenry's Marcus Reiser pitches during the seventh inning of Monday's Class 4A Prairie Ridge Regional final against Prairie Ridge June 1, 2015. McHenry defeated Prairie Ridge, 5-3. 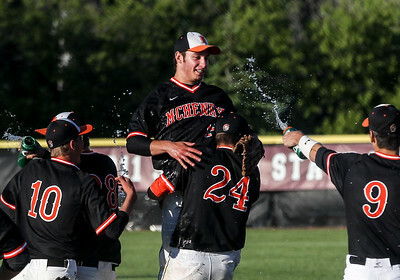 Sarah Nader- snader@shawmedia.com McHenry players celebrate Mikie Borst (left) celebrates with his teammates after they won Monday's Class 4A Prairie Ridge Regional final against Prairie Ridge June 1, 2015. McHenry defeated Prairie Ridge, 5-3. Sarah Nader- snader@shawmedia.com McHenry's Robert Miller III pitches during the second inning of Monday's Class 4A Prairie Ridge Regional final against Prairie Ridge June 1, 2015. McHenry defeated Prairie Ridge, 5-3. 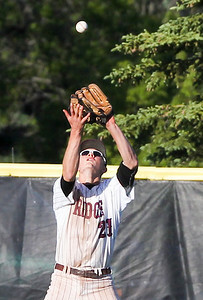 Sarah Nader- snader@shawmedia.com Prairie Ridge's James Mikolajczewski waits for the ball while McHenry's Jack Glosson safely slides back to second during the second inning of Monday's Class 4A Prairie Ridge Regional final June 1, 2015. McHenry defeated Prairie Ridge, 5-3. 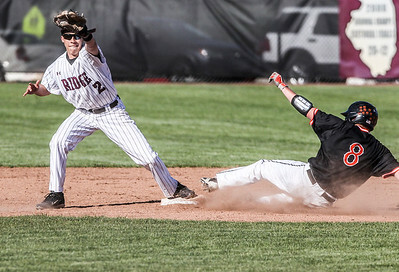 Sarah Nader- snader@shawmedia.com McHenry's Mikie Borst dives for the ball while Prairie Ridge's Dustin Thelander safely runs to first during the third inning of Monday's Class 4A Prairie Ridge Regional final June 1, 2015. 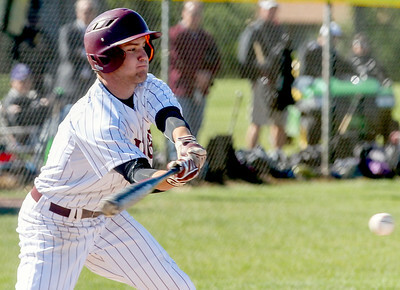 McHenry defeated Prairie Ridge, 5-3. Sarah Nader- snader@shawmedia.com Prairie Ridge's Benjamin Cilano pitches during the third inning of Monday's Class 4A Prairie Ridge Regional final against McHenry June 1, 2015. 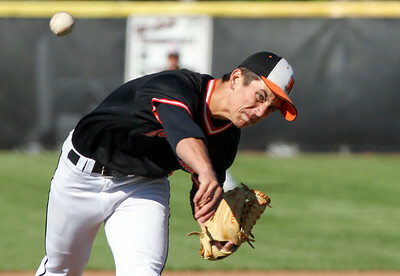 McHenry defeated Prairie Ridge, 5-3. Sarah Nader- snader@shawmedia.com Prairie Ridge's Carson Getzelman batches a ball to right field during the sixth inning of Monday's Class 4A Prairie Ridge Regional final against McHenry June 1, 2015. McHenry defeated Prairie Ridge, 5-3. Sarah Nader- snader@shawmedia.com Prairie Ridge's Christopher Slack strikes out during the first inning of Monday's Class 4A Prairie Ridge Regional final against McHenry June 1, 2015. McHenry defeated Prairie Ridge, 5-3. 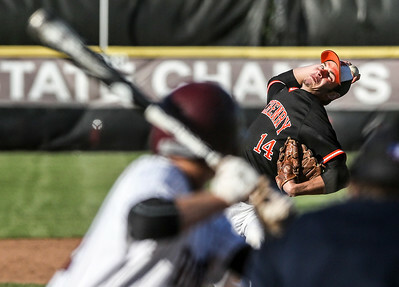 Sarah Nader- snader@shawmedia.com McHenry's Brian Kennedy (left) throws to the catcher while Prairie Ridge's Luke Annen runs home during the sixth inning of Monday's Class 4A Prairie Ridge Regional final June 1, 2015. McHenry defeated Prairie Ridge, 5-3. 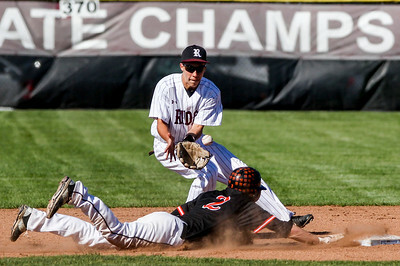 Sarah Nader- snader@shawmedia.com Prairie Ridge's James Mikolajczewski (left) waits for the ball while McHenry's Nick Lahrman safely slides to second during Monday's Class 4A Prairie Ridge Regional final June 1, 2015. McHenry defeated Prairie Ridge, 5-3. 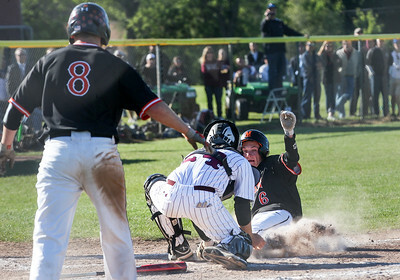 Sarah Nader- snader@shawmedia.com McHenry's Owen Patzin is tagged out by Prairie Ridge's Dustin Thelander while he slides home during the fourth inning of Monday's Class 4A Prairie Ridge Regional final June 1, 2015. McHenry defeated Prairie Ridge, 5-3. 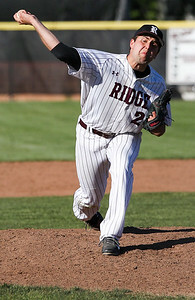 Prairie Ridge's Benjamin Cilano pitches during the third inning of Monday's Class 4A Prairie Ridge Regional final against McHenry June 1, 2015. 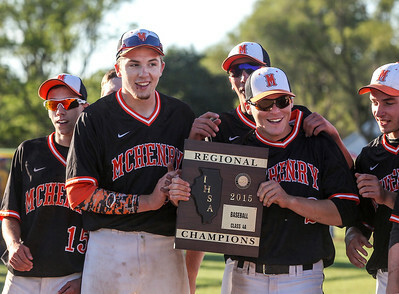 McHenry defeated Prairie Ridge, 5-3.